Chelsea have sacked manager Carlo Ancelotti after he ended his second season at the club without a trophy. He was dismissed following the 1-0 loss to Everton, as the west Londoners finished second in the Premier League. The 51-year-old had one more year left on his contract at Stamford Bridge. A club statement read: "This season's performances have fallen short of expectations and the club feels the time is right to make this change ahead of next season's preparations." 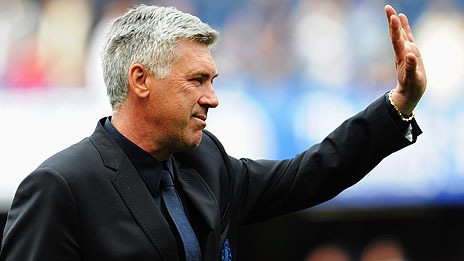 Speculation had been mounting that Ancelotti would be sacked following Chelsea's first season without a trophy in three years. They missed out in the Premier League as Manchester United clinched their 19th top-flight title last week, further compounded by exits in the Champions League, FA Cup and League Cup during the season. The Blues, who were Premier League and FA Cup holders at the start of the campaign, finished nine points behind United and only ahead of third-placed Manchester City on goal difference.